I haven’t been going to the gym much anymore. I could blame it on being busy, but it’s probably just laziness. Sandy often leaves us to go klap some gym, but I’m thinking of taking up home exercise, and apparently I can do a routine to make me like The Witcher’s Geralt or Assassin’s Creed’s Altair. However, we all know Geralt is the toughest character of them all. Just look at this workout – even Sandy was intimidated by the idea of bicep-curling your own leg. Yes, that’s right, Geralt is just that strong and flexible. I think this is a pretty cool idea. 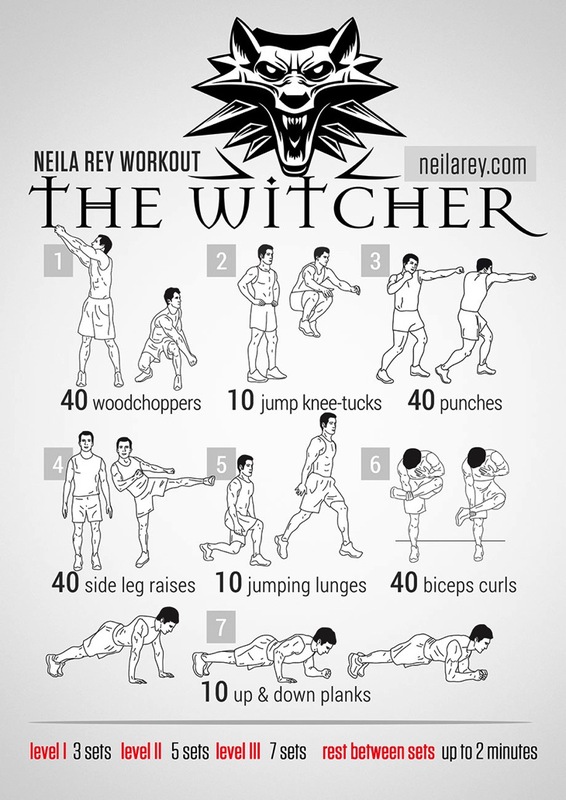 It can be difficult to get motivated to work out, and these offer a variety of workout routines that give you the inspiration that just maybe you can be as awesome as the characters you control in games. There is even a Batman one for Darryn and a Superman one for Gavin. 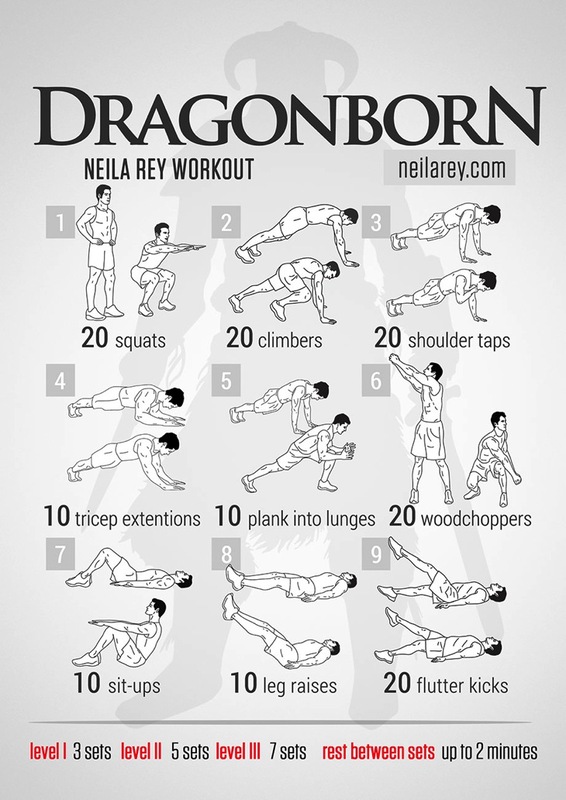 Despite all the clichés and memes to the contrary, plenty of gamers and comic book fans are fit and strong, so why not let us embrace our fantasy inspirations and klap the home-gym like Witchers and Dragonborn? Oh, who am I kidding? I’ll just look at the diagram and then go back to leveling up in-game characters instead of myself. Next article Hey you, random citizen! Bored? Tour Error City today!